The Internet opens up so many opportunities for a company to exist and to expand their operations worldwide. It opens up a global marketplace in which people from all over the world can buy and sell goods and services from the comforts of their own homes. The Internet opens up so much opportunity that more and more conventional stores are becoming e-tailors. Everyday more and more ecommerce stores are appearing on the Internet in all countries. If everyone is doing it, then why aren’t you? Discount Domains is well known in the field of domains and web hosting and we now offer discount web design services. We offer services for static ecommerce stores as well as the dynamic ones. Ecommerce is the process of shopping for what you want to buy and paying for it on the Internet and an ecommerce store allows customers to do just that. An ecommerce store costs less then the average person might think it would, it can run as little as ₤1k to get up and running depending upon the features that are needed. It reduces the cost of operations in many ways. First off, it reduces some paperwork because the customer enters everything themselves. Instead of an employee writing down or typing the customer’s basic information, the customer enters all of the details themselves. Secondly, it saves on time. An ecommerce store provides convenience for the company and the customer. It can provide a customer with everything they need in front of them to shop around and to make the purchase including whether or not the item they want is in stock. A customer can do this anytime of the day without needing an employee to show them around the store. Thirdly, an ecommerce store could save on overhead. If a company has an ecommerce store instead of an actual physical location then the company can save on things such as rent, inventory costs, some telephone services, electric, and heating services. The company can manage their store from anywhere in the world. Most people today are using the Internet and having an ecommerce store will take your products and services right into their homes and businesses. An ecommerce store will save many expenses. This savings can be put towards other things that your company needs. 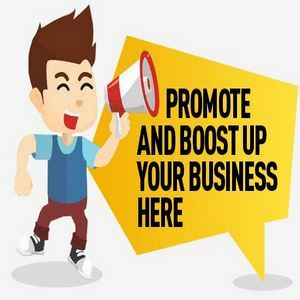 Your store will also act as advertisement for new products and services that you want to offer in the future. Based upon the orders that you receive on your ecommerce store, you can decide which products and services to discontinue based upon sales or lack of sales. Your store will help you process orders using credit cards, pay pal, and other payment methods. Your ecommerce store will also bring you new customers you may not have reached with your traditional physical store. The possibilities with an ecommerce store are endless. We want everyone to find your store so we will design it with this in mind. Discount Domains understands search engines and we build sites that are search engine friendly. We have many designs to choose from and your store will be an original design. We build sites and ecommerce stores that are user friendly as well. Your store will be easy to navigate so that your customers will keep coming back to buy more products and services. We want your customers to go through your store with little or no problems. We will design you a professional ecommerce store according to your wants and needs. Your customers will be able to find you when they need to find you at anytime of the day or night because you will be open 24 hours a day. Your store will never sleep. Mark is a webmaster with Discount Domains a leading UK web design house. Please feel free to republish this article provided a working hyperlink remains to our site.